Entyce Foods has issued a precautionary recall for its Creative Gourmet frozen pomegranate after a number of people who ate the product contracted Hepatitis A. Creative Gourmet is one of the brands caught up in the 2015 recall of frozen berries after a number of Australians contracted Hepatitis A. 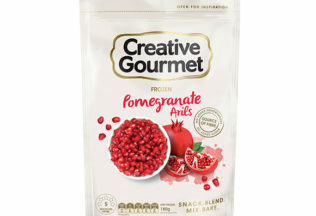 The recent pomegranate recall applies to all Creative Gourmet Pomegranate Arils 180g products with best before dates up to and including 21/03/20. The product was only sold through Coles supermarkets throughout Australia. Customers are advised to not eat any of the product included in the recall and to return it to Coles for a full refund. The recall comes after NSW Health identified seven locally acquired cases of Hepatitis A on Friday 6 April 2018 with all patients having consumed the pomegranate. Entyce Foods, owner of Creative Gourmet, said all of its product tested to date has been cleared and not linked to Hepatitis A, but it is recalling the product as a precautionary measure. “Recognising any concern that may exist in the community, we are exercising abundant caution by activating this voluntary recall immediately,” Entyce said in a statement. “Consumers can be confident that the recalled product Creative Gourmet Frozen Pomegranate Arils 180g is an isolated one and no other Creative Gourmet products are affected,” Entyce said. NSW Health Authority Chief Executive Officer, Lisa Szabo, said it is working with Entyce, NSW Health and other government agencies to investigate the situation. “This outbreak appears to be linked to imported frozen product,” Szabo said. “Fresh pomegranate has not been implicated, nor have Australian grown frozen pomegranate products,” she said. Director of Communicable Diseases at NSW Health, Dr Vicky Sheppeard, said NSW Health is working with the NSW Food Authority to confirm if the infection can be definitively linked to Creative Gourmet’s frozen pomegranate product. “Symptoms of hepatitis A take from 15 to 50 days to develop. It is caused by a virus that spreads in contaminated food or through poor hygiene,” Dr Sheppeard said. “Symptoms may include nausea, vomiting, fever and yellowing of the skin, dark urine and pale stools. “In most people the symptoms resolve after a few weeks with supportive treatment, mainly rest and fluids. “People who have eaten the frozen pomegranate should consult their local doctor as early as possible should symptoms appear. Those affected by the current outbreak are based in Sydney, the Central Coast and Wollongong. In December 2015, Entyce Foods acquired the Creative Gourmet brand (which largely sells frozen fruit products) from Patties Foods after Patties decided to exit the frozen berries market. Patties decision to sell off Creative Gourmet came after a number of people who had eaten Creative Gourmet (and Pattie’s Nannas branded) frozen berries contracted Hepatitis A in early 2015. Despite the link, testing commissioned by Patties after the incident did not find any evidence of Hepatitis A in its frozen berry products. When Patties decided to sell off its Creative Gourmet brand a few months after the incident. Patties then Managing Director and CEO, Steen Chaur, said the sale was made so Patties could focus on its core pastry business which includes brands such as Four’N Twenty and Herbert Adams.